If you are an educator, click on your early learning service’s ‘Learning sets’ tab. 1. Create your own private set. 2. Select an existing public set. 3. Adapt a public set to your needs. If the default, or public learning sets don’t meet your early learning service’s needs, you can create your own private learning sets. 1. In the top left box titled ‘Our learning sets’, click the ‘New set’ link. 2. In the drop-down window, give your new learning set a name and decide if you want to make it public or private. By default, your learning set is private, ie. only visible to your early learning service. 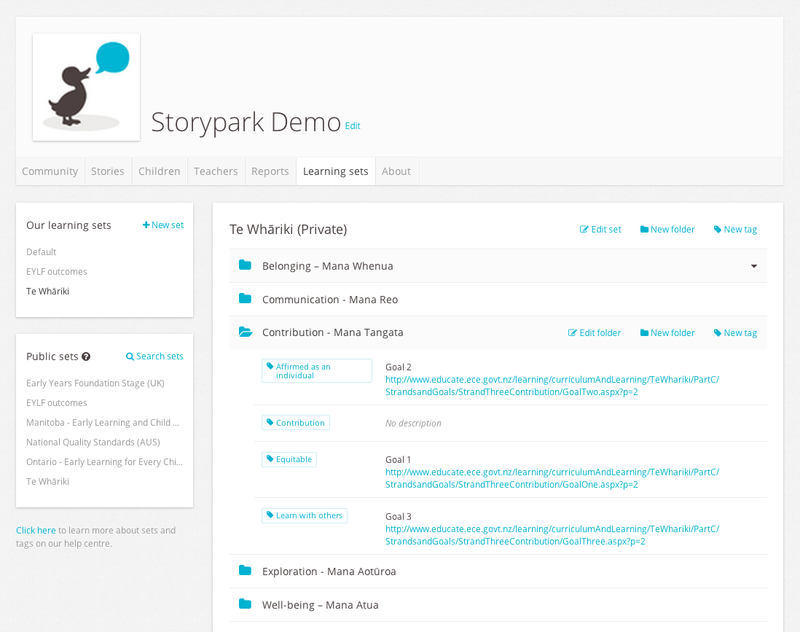 If you choose to share it publicly, it will be shared with every teacher that uses Storypark, worldwide. Don’t worry though, if you share your set with others they can’t edit or change your set, they can only make a copy of it. Learn more about public sets here. Public sets are sets that other users have created and shared publicly. Examples might include a country’s or a state’s curriculum (eg. 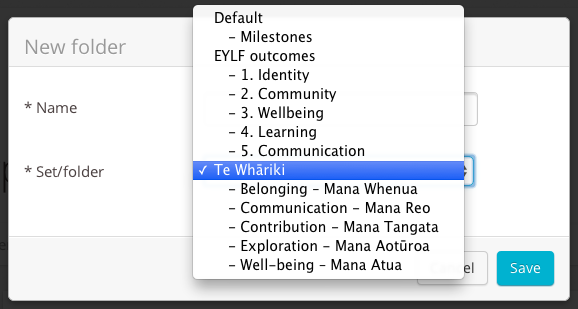 Te Whāriki, Early Years, International Baccalaureate etc). If you see a learning set within the public sets that would suit your early learning service you can add it to your learning sets. 2. The public set will be shown, with the name of the early learning service who added it shown next to the name of the set. 3. To the right of the set name click ‘Copy to our learning sets’. 4. The set will now appear in the ‘Our learning sets’ box, and the tags within it will be visible whenever you write a story. Next to the name of the set it will say ‘(Private)’ to show that this set is now part of your private learning sets and can be removed or adapted as you see fit. 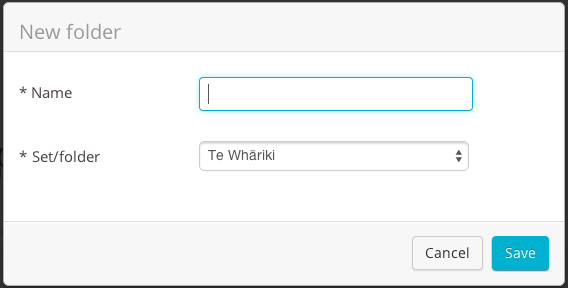 In the text field begin typing the name you’re looking for. If the set you’re looking for exists, it will show up here. You can use a public set right out of the box, or you can adapt one to suit the cultural or individual needs of your early learning service. 1. First, you need to add a public set to your learning sets (see ‘Select an existing ‘public’ set’ above). 2. 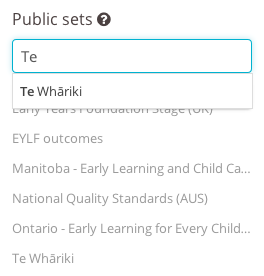 When that set is selected in the ‘Our learning sets’ box, you’ll see the name of the set next to the word ‘(Private)’ to show that this set is now part of your private learning sets and can be removed or adapted as you see fit. This is simply a copy of the original public set so if you edit or delete it, it will only alter your private copy, not the public copy. 3. Next to the set name you’ll see three links; ‘Edit set’, ’New folder’ and ‘New tag’. To learn more about how to use these links read ‘Manage learning sets and tags’. You can create folders within any of your learning sets. 1. 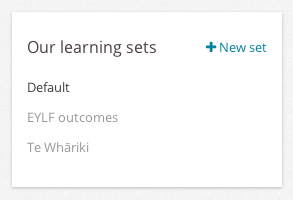 Click on any of your private learning sets in the ‘Our learning sets’ box. 2. Next to the set or folder name, click ‘New folder’, and in the drop-down box give your folder a name. 3. Click the ‘Set/folder’ field and a drop-down menu will appear which lets you file the folder where you wish. You can add a folder within the main set, or within other folders. It’s a little like adding folders on your computer. 4. Now, when writing a story in the story editor you can click on ‘All learning tags’ in the 'Select tags' panel and you’ll see a list of all your sets and the folders within them. 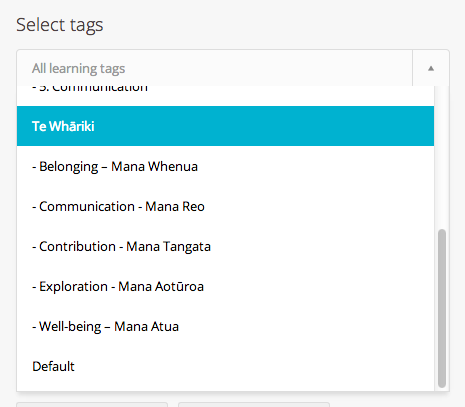 You can create learning tags within any of your learning sets. 2. 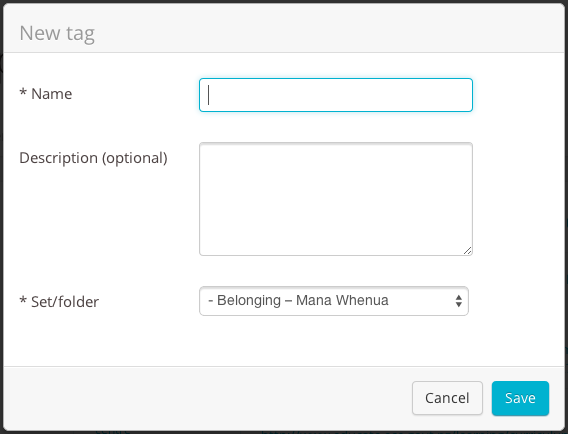 Next to the set or folder name, click ‘New tag’ and give your tag a name. 3. Type a short optional description explaining what this tag means. The description could include a link to a website page if you want to explain the concept further; simply copy and paste the website address into the description field making sure you include ‘www.’ This description will be visible when someone clicks on a tag in a story, opening up a small box for them to read. 4. Click the 'Set/folder’ field and a drop-down menu will appear which lets you file the tag in any folder you wish. 5. 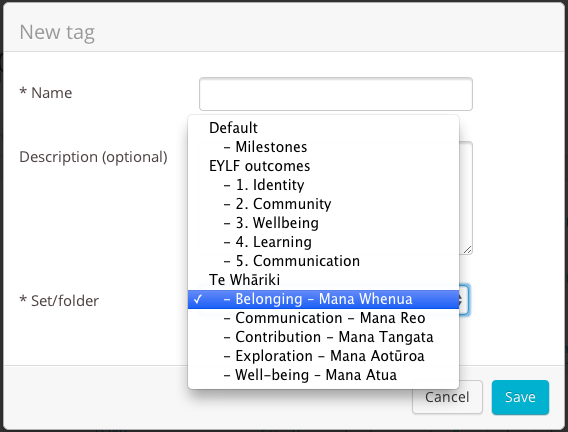 Now, when writing a story in the story editor you can click on ‘All learning tags’ in the top learning tags box, select the set and folder where you filed your tag and you’ll see your new tag. Here are our tips on how to choose and get the most out of your learning sets.